START YOUR RUNNING JOURNEY AT THE TOP OF THE CITY. With gorgeous views overlooking Vancouver, begin your race at the top of Little Mountain and experience a start unlike any other. The picturesque Start Line at Queen Elizabeth Park is located at the top of Little Mountain – a small ascent in the centre of the city. For runners, this is where the excitement kicks off; this is where the magic happens! Known as one of Vancouver’s oldest neighbourhoods, Cambie Boulevard is recognized for its unique urban design with forty-five blocks of tree-planted median, one-way streets, and North Shore mountain views. The neighbourhood has historic relevance dating back to the early 1930’s when it was identified as a central geographic location and major transportation corridor within Vancouver. 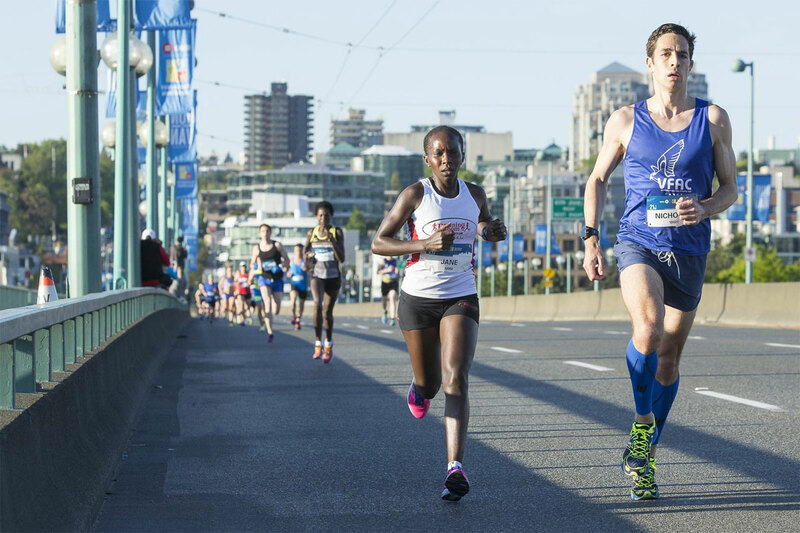 The BMO Vancouver Marathon is a special experience you have to be part of! Enjoy the Cambie area on-route. The historic Cambie Boulevard is lined with a vast array of approximately 450 coniferous and deciduous trees including Sequias, Golden Elms, and Cherry Trees. These colourful cherry blossoms are symbolic of spring in Vancouver and arrive just in time for the Vancouver Marathon event each year. One hundred of these trees were received from Yokahama as a gift for the 1967 Canadian Centennial – the 100 year anniversary of Canada’s confederation. Now in their prime, the cherry blossoms are one of the most beautiful sights to behold with their cotton candy-coloured petals dotting the streets of Vancouver each spring. The Start Line at Queen Elizabeth Park is located near Cambie on the top of Little Mountain. Though it is not a true “mountain” by definition, the park is the highest point of the city with gorgeous views overlooking Vancouver’s Cambie Boulevard, downtown core, ocean, and North Vancouver. Originally a basalt quarry in the 1900’s, the site supplied foundation rock for some of the city’s first roads. It received its name from Elizabeth the Queen Mother when she visited with George VI in 1939. The park was transformed into a beautiful quarry garden in the 1950’s complete with covered walkways, fountains, sculputres and exotic trees. It is known for its aesthetic beauty and is a haven for view-seeking locals and visitors. Charming Cambie is the first neighbourhood that Marathon, Marathon Relay and Half Marathon runners journey through, providing a scenic start with sea to sky views and flowering canopy trees. 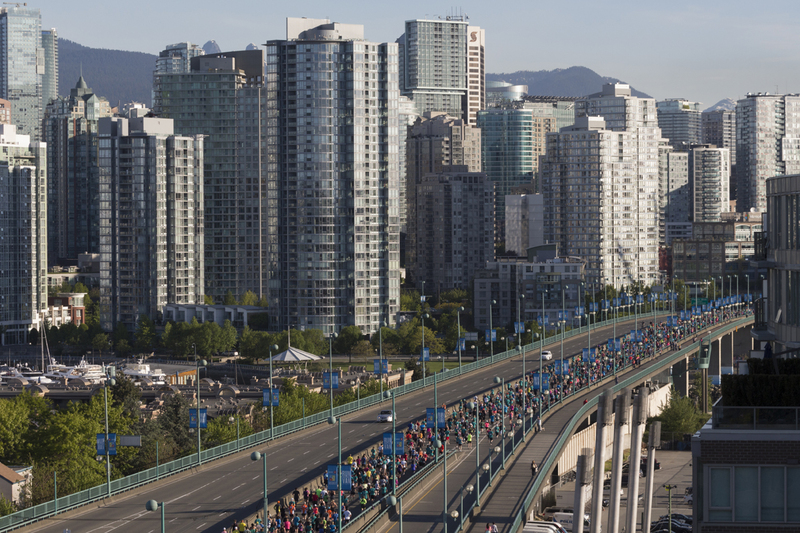 Cambie is unique to Vancouver Marathon courses with no other marathon event exposing runners to this historic area of the city. 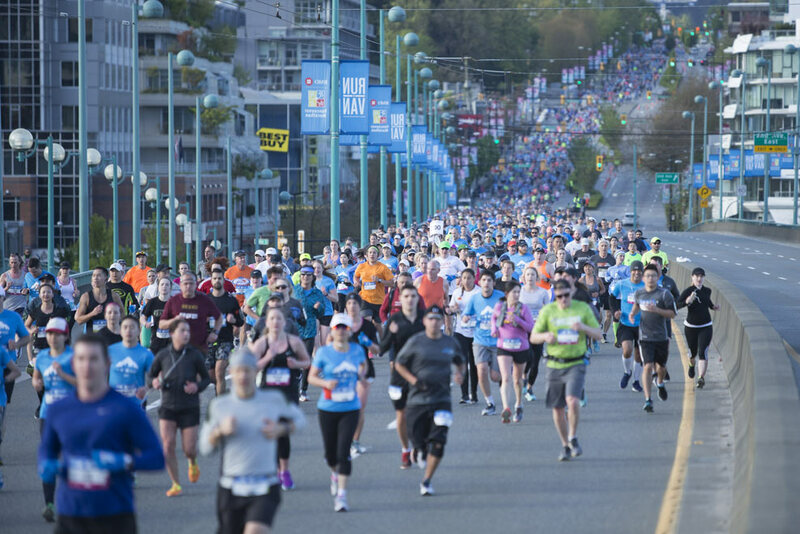 The BMO Vancouver Marathon Start Line is certainly a special experience that you won’t want to miss!